Review and information about OPPO FIND X which comes with full screen LCD body, different from other usual smartphone at this days because it have pop up motorize camera which will automatic pop up and pop down when we want to use camera or not. The pop-up camera are work for front and rear camera with flash. Please note, we are not saying that OPPO FIND X is bad, but we will give more information and review from our point of view. If you have more info, please use comment field bellow to share with others. Pop up camera is the most interesting features inside OPPO FIND X. When we want to take pictures and press the camera icon, then main camera will automatically popup and ready to take pictures or video. Therefore we will not find any camera lens at the front and top body when we are not activating the camera features. The screen is very big, with very thin bezel around the screen, infinity screen type like Samsung Galaxy S family. At left side of body, we can find volume button. The right side of body is located for power button. Only OPPO and Find X label will show at back side of body. OPPO FIND X work with Qualcomm SDM845 Snapdragon 845 processor, this is 64 bit processor which have 10 nm technology for better battery consumption, it is work with Octa-core CPU which contain 4 x 2.8 GHz Kryo 385 Gold & 4 x 1.7 GHz Kryo 385 Silver. It will switch automatically depend on what apps is running. The GPU use Adreno 630 support with OpenGL ES 3.2, OpenCL 2.0 full, Vulkan, and DirectX12. This processor also support for better AI technology and immersive virtual reality. Drawback of OPPO FIND X does not have MicroSD card slot. We can not adding additional storage when internal storage become insufficient. However, there are two options to choose before buy this phone. One with 128 GB and the other one is 256 GB, both storage have same big 8 GB RAM. Why big RAM is important? RAM is important because it is use to keep running applications or multitasking. More bigger RAM we have, then more applications can be keep in memory and will make faster to access when we want to use after switch from other apps. Other demerits of OPPO FIND X does not have 3.5 mm headphone jack. We have to use bluetooth headset or USB-C port when we need to use headphone. Fingerprint sensor also not available at OPPO FIND X, it is become disadvantage for some people, because although OPPO FIND X have Face Unlock, sometime the accuracy is not so good when using masker or something like that. However, Oppo said at normal situations, their O-FACE 3D structured Light can give more accurate face detection for unlock. It will scan about 296 sensitive dot for each human face. OPPO FIND X comes with good battery capacity, which is 3730 mAh non-removable battery. We can use this phone for one day without worry to find charger station. This phone use USB-C for charger dan data slot. OPPO FIND X already use VOOC fast charging technology to give more faster charging time. Because this is one of new features from OPPO, then we can said that motorized camera from OPPO FIND X is advantages for some users, but also can become disadvantages for some other user, because having moving part which always use again and again may have limitation. Actually, we do not know about how long that motorized pop up camera will work smoothly after use several years with possibilities have some dusk inside the moving part, hopefully everything still find at that time. Main camera of OPPO FIND X is 16 megapixel + 20 megapixel with aperture number f/2.0. The front camera also located at same motorized pop up camera with 25 megapixel f/20. OPPO FIND X have optical image stabilization OIS to make pictures stay away from blur when taking at unstable conditions. Advantages of double rear main camera 16mp+20mp can produce DOF deep of field effect camera (bokeh). OPPO FIND X also already have AI which can have several options to make sure our picture become better according by object comparison and database. Front camera have 3D camera to take care for Face Unlock recognition. Is OPPO FIND X Worth To Buy ? The new style of pop up motorized camera make this phone become difference with other smartphone, especially when the camera work, people will impress with how it work. OPPO FIND X is worth to buy because it have good processor, better camera result and big internal memory + 8 GB RAM. 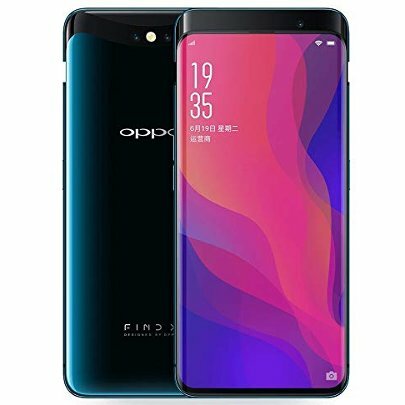 This article is talking about oppo find pros and cons. You can find other topic at our related post bellow.